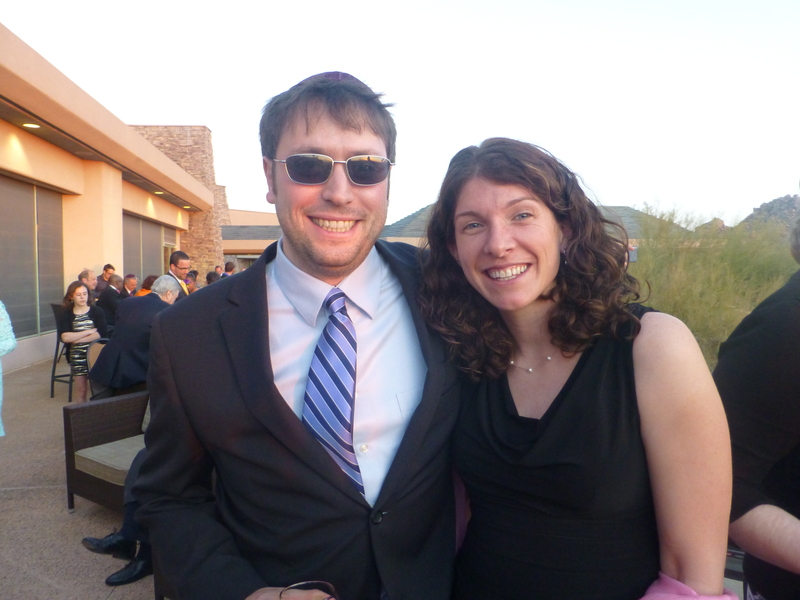 At the wedding last weekend in Arizona, we did not know very many people. This gave my husband, the social butterfly, the chance to chat with all sorts of new folks. He loves to “work” a room and is so good about starting up a conversation with anyone he encounters. I do not possess these skills and so admire his confidence and interpersonal strengths. At one point I came up to the bar where he was standing with a gentleman and joined in on their conversation. The gentleman was a bit of a “bragger” and in the first 5 minutes I was standing there, he told us every accomplishment he has ever had in the sports world (use to drive for NASCAR) and beyond and bragged about how talented an athlete he was. Now this gentleman was in his 60’s and I applauded his go-go attitude. Based on his physique, I wouldn’t have pegged him for the athlete he claimed to be but we “oohed and ahhed” right along with his stories. His wife soon joined us and the bragging continued. She was all about bragging about her perfect daughter and grandson but expressed her frustration with the public school education her grandson was getting. Her children had attended private schools but her daughter could not justify the expense. Instead her daughter supplemented her grandson’s education with Fencing, Soccer, Boy Scouts, Piano, Art lessons, Baseball, Swimming, Skiing (and a few other things I can’t remember). I so wanted to ask when the poor child, who was SEVEN, got to be a kid and play. Not wanting to waste my breath on this individual that I would never see again, I assured her that this was something I wanted to do. I told her I have dreams of my own that can be gone after while homeschooling and that I think it will be a gift to be apart of my children’s education. My husband shared the positive aspects of his education and how today there are even more opportunities for homeschoolers. Frustrated by our answers, she searched for a new objection and settled on the old standby…”Socialization”. Tired of this argument already (and I haven’t even started homeschooling), I so wanted to say…”You were just talking to my husband, one of the most social people at this wedding, does he lack Socialization?!?! ?” But instead I quickly said that in this day and age children seem a bit over socialized and I am confident that my children will have plenty of healthy opportunities to interact with other children every day. Thankfully it was time to go in for dinner and I was grateful to escape this unwanted attack. As my husband and I walked to our table, I felt pride about the way we responded and came together as a team to defend our decision. I felt like we took one step closer to living the life that we want to live and I was proud of myself for not letting her attacks ruin my evening. It felt great! First–you both look so beautiful! Glad you had this special “escape”! As always, I share your frustration with people who think it’s OK to respond to homeschooling like that! My current response to the “socialization” issue is that it assumes there is a healthy social environment in public schools today–this is not the case, as WE know. Good for you to standing up and being a team! Funny how someone so “well-rounded” and “experienced” missed the logical connection between your homeschooled husband and his outgoing, social nature! 😉 Rock on! Love this write-up, how you stood together, and how you defended your dream without becoming defensive. Isn’t it sad that you both listened so well to them, yet clearly “listening” was not in their skill-set!